Thanks to Irene Latham at Live Your Poem for organizing and hosting this event in celebration of National Poetry Month. Yesterday, Renée at No Water River added her words. She gave me a nice line to work with as she was hoping to bring our words down to earth. She ended her line with “crowd hush”. Plus, she mentioned Cirque du Soleil in her post. Along the way, other poets have contributed words such as trapeze, swinging, throw, catch, soaring, exploring, and safety net. I couldn’t help but imagine the whole circus setting as I played with words that could ground our progressive poem as it has already journeyed past many pens, and has more pens in its future. I don’t have to bring our words to earth. I could send them flying back—leave them hanging. But, they don’t call me Pollyanna Penny for nothin’! I like to tidy things up; tie up loose ends; head toward that we’re-all-gonna-live-happily-ever-after ending. So, with my line, I bring us to earth with wonderment as the crowd is amazed at how well we work together as we piggyback our poet pens. We are back down to earth. Stacked in a perfect, poetic pyramid. The crowd sees our vision because our limbs (our pens) are writing lines, and our pyramid (our poem) is precisely the kind of vision to hush the crowd. No way we could’ve stacked these lines so beautifully, and with such precision, if we didn’t have a shared vision. We are all in this circus together…yes, performing for the crowd…but mainly wanting to contribute to a finished product where our trust for each other is evident. Just like performers in Cirque du Soleil, our poem is not a solo performance. Our pens, our words, work together. And on April 30th, when we take the final bow, we will know that the last 30 days have been a special performance. We will dance back to the beginning of the poem and follow our footsteps to the end. Was that Pollyanna-ish enough or what?? By now you’re either throwing up or applauding!!! And, hey, it’s OK if you’re throwing up because sometimes I make myself sick, too! LOL! I am passing the poem to the our wonderful host Irene Latham. Here are the scheduled stops for our progressive poem. You can also find the schedule in my sidebar. Synopsis: (from Goodreads) From tumbling out of their humongous blankets to devouring a breakfast of catapulted waffles, these characters and their loveable antics fill the pages with luminous color and dragon-size fun. 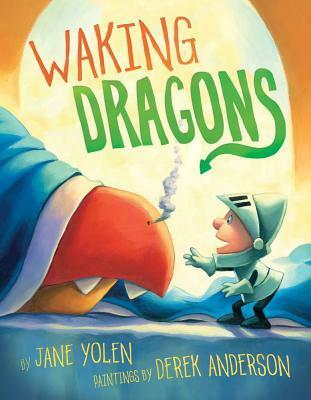 A joyful collaboration between two bestselling talents, author Jane Yolen and illustrator Derek Anderson, this book will make any young reader fly out of bed. Resources: HERE is a cute YouTube video on brushing teeth and eating foods that are good for healthy teeth. HERE are instructions for a paper bag dragon puppet. Why I Like This Book: I loved the rhyming text and the beautiful illustrations. The book is humorous from the beginning, starting with a young knight reading a note on one of the front end pages. The note says: Don’t forget to wake the dragons before school. Love, Mom. Isn’t that great? Standing right there with the young knight is his dog who helps the young knight throughout the story. The book continues to delight with the young knight (and dog) overseeing the morning routine of the dragons, and successfully getting out the door and off to knight school on the backs of the dragons. Kids will LOVE it. April is National Poetry Month. Being a poetry lover, I can’t let April slip by without celebrating. Last April I participated in an A to Z Poetry Challenge, and ended the month with 26 new poems. That was reason to celebrate! This year, I am concentrating my efforts on creating a children’s poetry resource page on my blog. 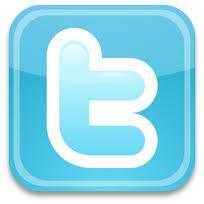 Teacher’s are always needing more time to research fun and effective ways to help students learn. I hope my page will save them some time as I collect links to some of my favorite sites that offer children’s poetry, and ideas for poetry lessons. I have the page in the “draft” stage and hope to share it soon. I will stay tuned HERE at No Water River, as Renee LaTulippe hosts these poets,complete with poetry videos. Jama at Jama’s Alphabet Soup has a list of 2013 Kidlitosphere Poetry Month Events HERE. I will be checking in with as many of those events as time allows. 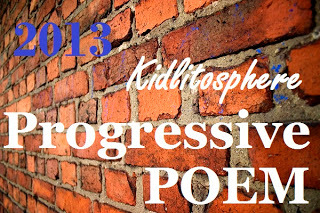 Besides working on my poetry resource page, I am participating in the 2013 Kidlitosphere Progressive Poem hosted by Irene Latham at Live Your Poem. How does it work? Beginning April 1, a poem will travel daily from blog to blog, with each host adding a line. I will be adding my line April 18th. The schedule is posted in my right sidebar. I participated last year, also. It was so exciting to see what wonderful line was added each day. This is last year’s poem. I added Line 7.
come sit with us a spell. and fill your glass with wine. smells of a Moroccan market spill-out. You have come to the right place, just breathe in. last week’s dreams. Take a wish from the jar. …Strains of a waltz. How do frozen fingers play? How do fennel, ginger, saffron blend in the tagine? their veils of sorrow encircle, embrace. Feed your heart with waltzes and spices. Feed your soul with wine and dreams. seascapes, crystal sighs and moonshine from your melody. Muse. Up ahead, stepping stones speckle the stream, sturdy now. May your words roar against the banks, your life a flood of dreams.